Designed by Norman Churner in 1958. These fantastically designed arm chairs invite you to sit down and get a hug from the solid beech bent wood arms. The simple and common bent plywood chair and legs are made beautiful and novel with a single piece of solid beech bent into shape with steam. 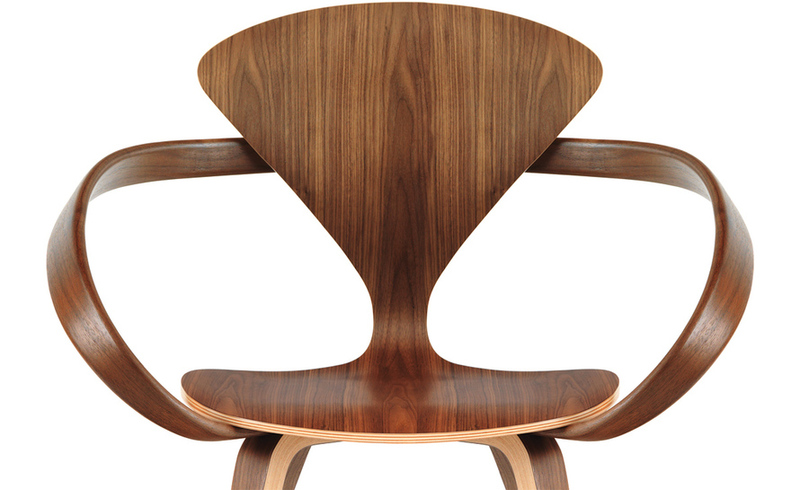 These chairs are still made from the original specifications from Cherner's original drawings. These can be found at Hive Modern for around $1030.